EDTA, Tetrasodium Salt is a chelating agent with wide-ranging ability to sequester various polyvalent cations. This compound is used in experiments as a simple model for amino acid components of proteins. EDTA (Ethylenediaminetetraacetic acid) is a chelating agent, a general chemical, and a sequestrant. EDTA is used extensively as a chelator of divalent cations such as Ca2+. Used to minimize metal ion contaminants and also used to facilitate enzymatic reactions that could be inhibited by heavy metal traces. EDTA, Tetrasodium Salt, inhibits enzymes, such as metalloproteases, that require divalent cations for activity. Some research has shown that this product is a potent inhibitor of Calpain. 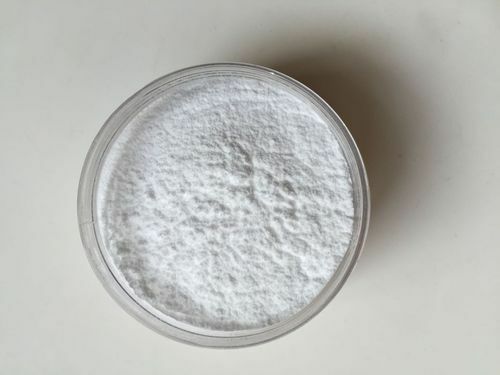 Founded in the year 1989, we “Shalibhadra Dyechem Private Limited”, (A Unit of Shalibhadra Group of Industries), are acknowledged as a leading Manufacturer and Exporter of the finest quality EDTA Salt, Sodium Sulfite, Potassium Sorbate, Sodium Phosphate, Potassium Sulfite, Sulfate Compound, etc. Chemicals provided by us are processed as per the industry set norms under the most suitable condition. Our team member only uses quality assured chemical compounds and the latest machines while processing these chemicals. The chemicals provided by us are highly applauded in the market due to their properties such as long shelf life, reliable usage, purity, hygienic composition and precise pH value. These chemicals are also rigorously tested against different parameters in order to provide a qualitative range to the customers. We also provide these chemicals in safe packaging material at most nominal rates within scheduled time frame.